The KC-135 has taken up various jobs over the years, including acting as a command post and a reconnaissance aircraft. Through the years, the KC-135 has been altered to do other jobs ranging from flying command post missions to reconnaissance. The EC-135C is U.S. Strategic Command's flying command post. One EC-135C is always on alert, ready to take to the air and control bombers and missiles if ground control is lost. 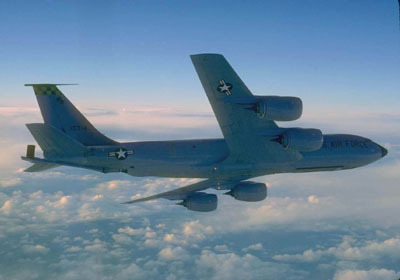 RC-135s are used for special reconnaissance and Air Force Material Command's NKC-135A's are flown in test programs. The Air Combat Command operates the OC-135 as an observation platform in compliance with the Open Skies Treaty.